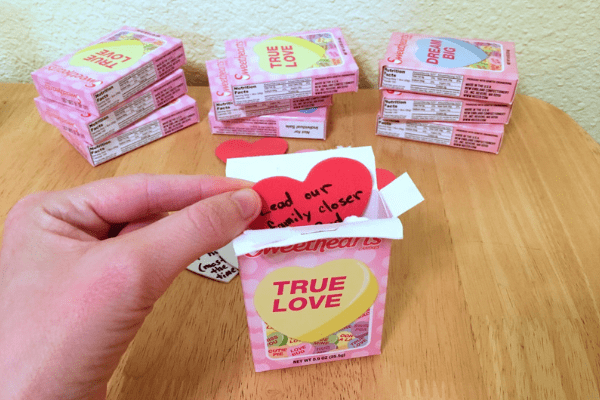 Wondering what you can do as a cheap valentine’s day idea without losing the romance? 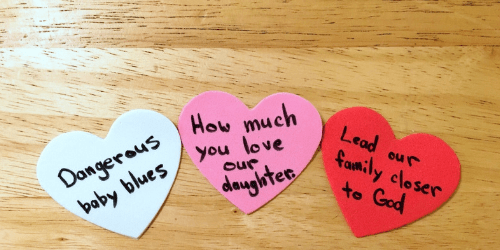 This simple but sweet love challenge is perfect for your spouse, boyfriend, or even your kids! This post is inspired by my grandparents. Whenever we went to visit you would see little love notes that they would leave for each other all over the house. (#relationshipgoals). This can be a great practice any time of year for Anniversaries, birthdays, or if your relationship just needs a pick me up. 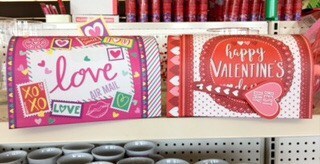 But Valentine’s Day is an especially great time to set up 14 days of love letters for that someone special. Miss having a February 1st start date? It’s not too late! Do a shortened version, or start it on Valentine’s Day and do it for the rest of February instead! I was able to do this for $5 with items I bought from the dollar tree! You can also use the links below to pick up the items on Amazon. 14 hearts. 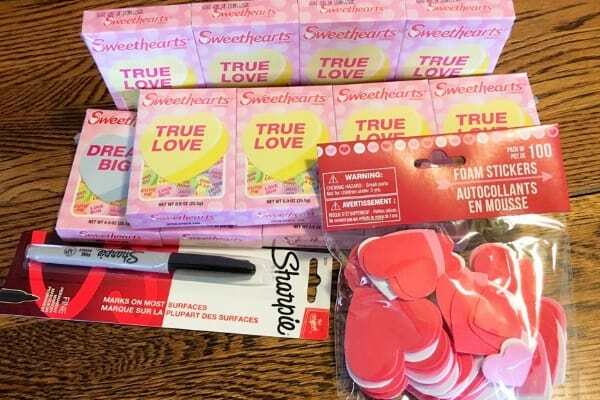 You can use these foam heart stickers or cut your own hearts out of colored paper. The first thing you need to do is to create your love notes. 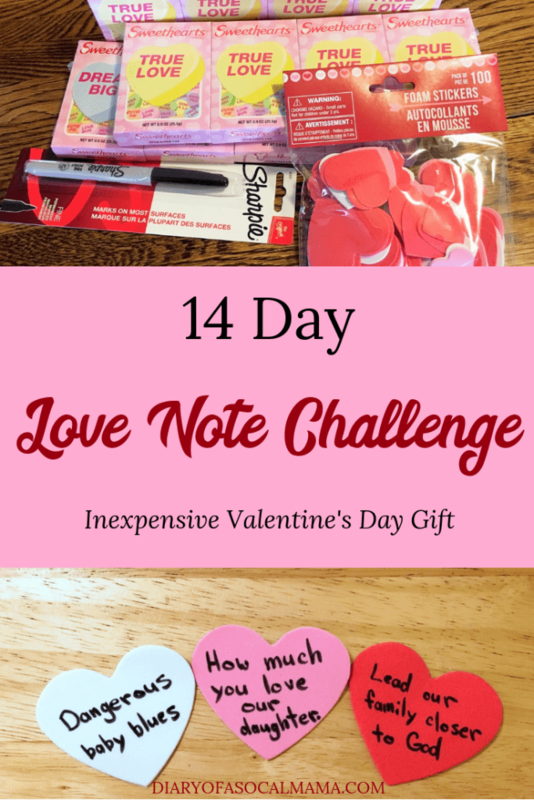 Take your 14 hearts and write 14 reasons why you love your spouse. Make sure to choose a mix of reasons (no one wants to be all looks or all personality). Something they are really good at. How they treat you or other people. Make them thoughtful and unique to the two of you! If you need filler you can look up a short poem or quote, but finding 14 things you love about your husband or significant other shouldn’t be too hard. Each day I will leave him one box on his nightstand, in his coffee cup, in his lunch pail, somewhere he will easily find them. If you’re using boxes you can number them so they are delivered in a certain order or you can just choose one of your boxes at random each day. Alternatively, you can put all the notes into a jar or mailbox and have them pick one out each day before they head to work. If you are doing this for your children it’s a similar process. Think of things they’re been improving upon, things they do well. God forbid they are getting bullied about something try to find some words of affirmation surrounding the issue for them. 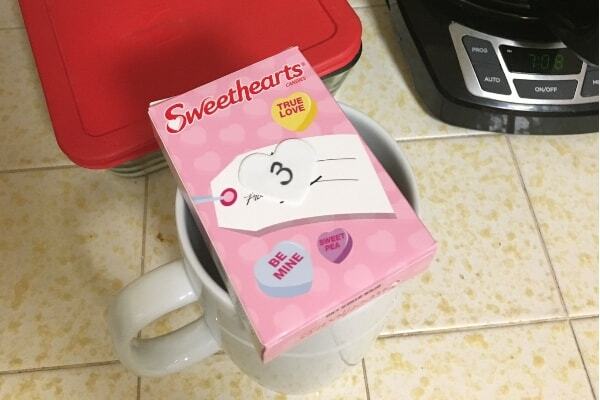 Putting a sweetheart box in their lunch every day would be fun or hide them around the house for them to find. The mailbox is also a fun choice for kids as you can put the flag up once the note has been delivered. Looking for more ways to strengthen your marriage? Find our your love languages! Want more easy gift ideas? Learn how to help your child make a Valentine’s Day handprint card with edible paint. This is so sweet! I wonder if I could pull it off for Valentine’s this year, so fun!